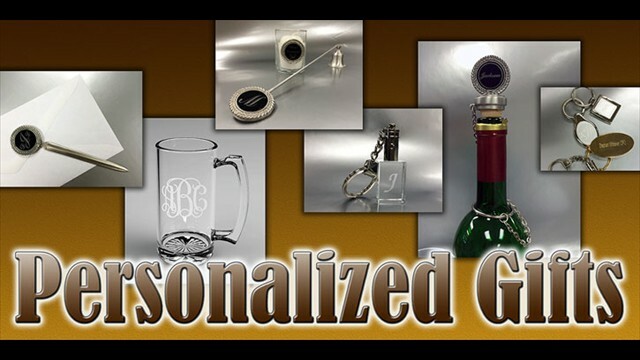 " Your One Stop Shop for Custom Marking and Identification Products, Signs, Corporate Awards & Gifts". Custom Stamp Ordering made easy with The Stamp Wizard. Please use our Stamp Wizard to help you to pick the proper size for your rubber stamp. You can create a PDF file to print or email to look at the size of your stamp. We recommend Xstamper Pre-inked Stamp brand, "Best pre-inked rubber stamps on the Planet! "Certified Xstamper Pre-inked Rubber Stamps". We make all types of Marking Products, Custom rubber Stamps, Houston rubber stamps, bank stamps, address stamps, self-inking stamps & date stamps. Simple Stamps for everyday needs. 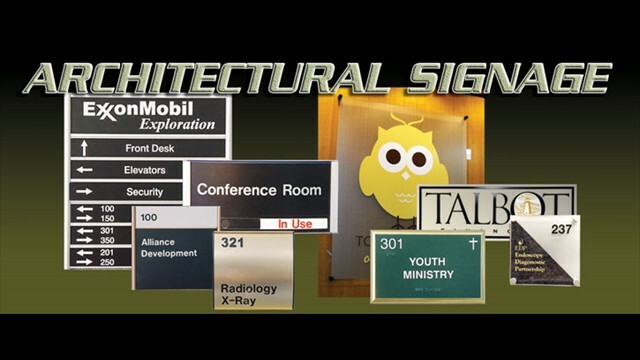 Laser engraved signs, Interior Office Signs, Architectural Signs, Compliance signs, ADA Braille signs, office signs, cubicle signs, room signs, wall signs, name plates, standoff signs, wall letters and fast signs now. 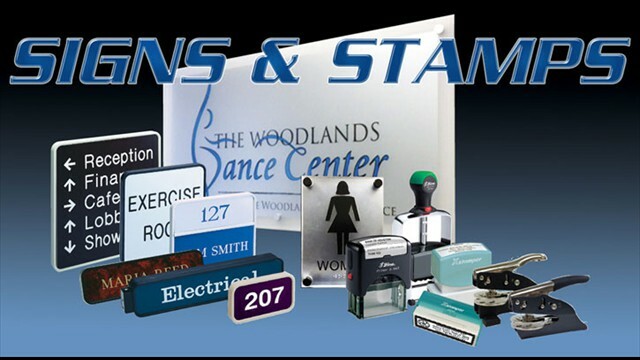 Identify your company with a Logo Name Badges and Full Color name tags, Engraved name tags, magnetic signs and vehicle graphics. 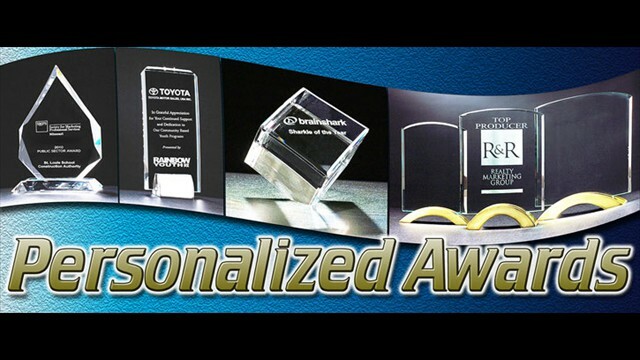 Recognize great work, sales achievements and customer appreciation with our Premier Corporate Awards, Executive Gifts, Golf Awards, Trophies and Corporate Gifts. Houston Proud! Home of the Houston Texans, World Champion Houston Astros, World Champion Houston Rockets, Houston Space center, Dynamo Soccer, World famous Medical Center and the Energy Capital of the World. Fast Friendly Customer Service Most orders shipped in 1 day.